It’s been a busy weekend in High Point, visiting showrooms and scouting out new design inspiration. While I haven’t had a chance to sit down to organize my photos and thoughts, I didn’t want to leave you high and dry, so here is a little teaser of just a bit of what I’ve been seeing. I’ll be reporting back soon and for those of you on twitter and instagram, you can follow along for more immediate inspiration! This entry posted in design, interior design. 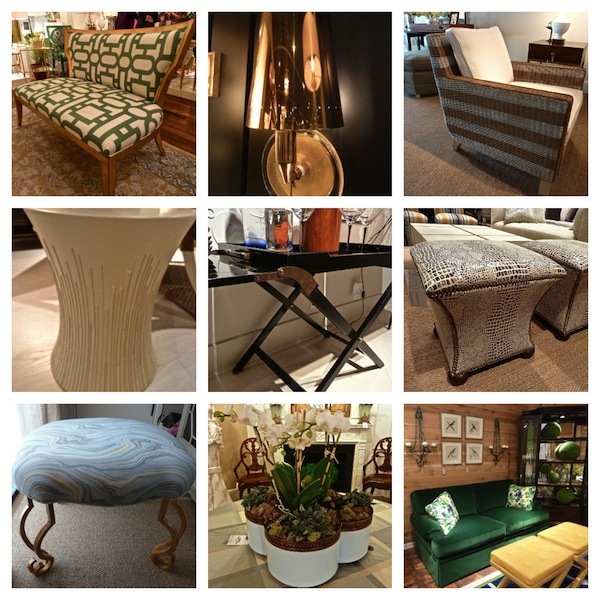 Entry Tags: Furniture, High Point Market, interior design, Lighting Bookmark the permalink. Just caught up reading this past weeks posts! Fabulous coverage! I wasn’t able to attend and it was as if I had been there! Thank you so much for perfect coverage! Thanks for including an image from the Wesley Hall showroom. Can’t wait to see what you’ve found and would have loved to have tagged along. Thanks for the update, Stacey. Waiting to see. Miss hanging out with you at Market! 78 queries in 0.486 seconds.